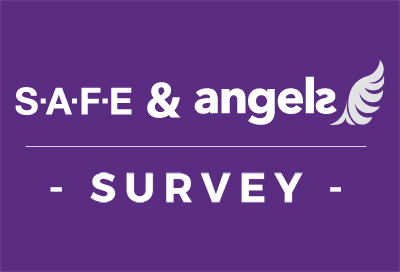 The Stroke Alliance for Europe (SAFE) invites you to attend their ‘Joining forces to prevent and control non-communicable diseases: The role of policy in tackling stroke’ event on 28 March 2019. The event will look into the role of policy and policy stakeholders in combating stroke-related challenges and addressing the burden of stroke, as well as in achieving the ambitious targets of the ‘Stoke Action Plan for Europe 2018-2030’. 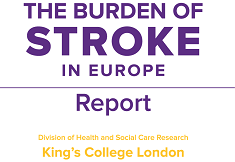 With an expected 35% increase in the incidence of stroke in Europe by 2035, this conference represents an important opportunity to bring European, national and local policy-makers and other stakeholders together to address the disparities across the stroke care pathway between and within European countries. The event, which will be jointly organized by SAFE and the Romanian National Stroke Association, will be held under the patronage of the Romanian Presidency of the Council of the EU and hosted at the European Committee of the Regions (CoR) by Karsten Uno Petersen, CoR member and health rapporteur. The discussions will be integrated into the expected health priorities for the Romanian and upcoming Finnish and Croatian presidencies, such as better care for an ageing society, the role of primary prevention to counter the burden of chronic diseases, and equal access to care for all European citizens. SAFE will soon launch a dedicated web section where you will find more information about the conference, including agenda and registration instructions. Stay tuned for more information! 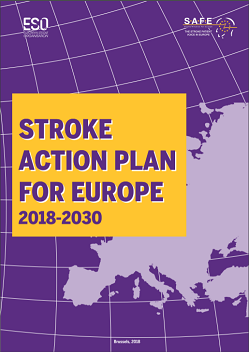 The Action Plan focuses on seven key domains, namely primary prevention, organisation of stroke services, management of acute stroke, secondary prevention, rehabilitation, evaluation of quality and outcomes as well as life after stroke. It outlines four overarching targets to be achieved by all European countries and health systems by 2030, which are complemented by further specific targets set for each of the seven domains. SAFE is currently pursuing its dissemination and implementation at national, regional and local levels. ANRS is an independent, not-for-profit, non-governmental and apolitical Romanian association of physicians with scientific, medical and social goals regarding stroke prevention and management optimization in accordance with the European and WHO standards. The association organizes congresses, conferences, round tables, practical demonstrations and symposia that seek to promote up-to-date stroke education, according to the latest scientific research and validated therapeutic progress. Romania will hold the Presidency of the Council of the EU from January to June 2019. The Council of the European Union is the institution where the governments of the EU Member States defend their own country’s national interests in the negotiation of the legislative and non-legislative files. Every EU Member State has the obligation to hold the Council Presidency, which changes every six months. The European Committee of the Regions is the voice of regions and cities in the EU, aiming to reduce the gap between EU institutions’ work and EU citizens. It is composed of more than 350 local and regional elected representatives from across the EU and advises on new laws that have an impact on regions and cities (which is 70% of all EU legislation).